It’s free to register. Join us today and start saving money! Don’t forget to drop by the shop to purchase your VIP SAVINGS PROGRAM so we can connect it with your online registration. If you already purchased a VIP SAVINGS PROGRAM, you should register so you can view online. 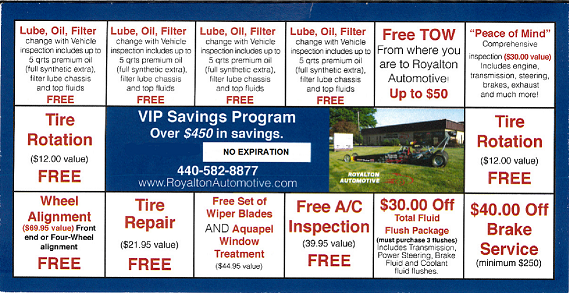 The VIP SAVINGS PROGRAM is a bundle of services that is offered at a discounted price so you can save money on normal maintenance services like oil changes and tire rotation. It also includes other services that you may require or you may need if something unexpected happens to your vehicle.